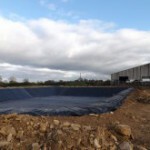 Our Genatex 850 lagoon cover is a high quality, durable and impermeable floating cover designed for use in agricultural lagoons, such as slurry lagoons. When used to cover slurry lagoons, the Genatex 850 floating cover maximises the nutrient content of the slurry by preventing water ingress. 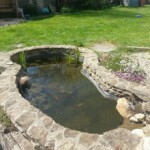 Any rainwater harvested on top of the cover can be pumped off for wash-down purposes which minimises farm water costs. Furthermore, due to the impermeable nature of the material, the use of a Genatex 850 cover significantly reduces any odour emissions from the lagoon. For any more information on our Genatex 850 cover, to request a sample, or for any other queries, please contact us directly where we will be happy to help. 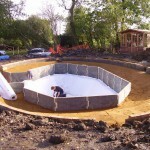 Our Genatex 850 is just one option of lagoon covers available from Stephens Industries.